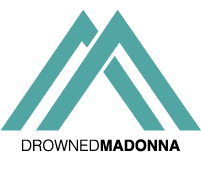 Madonna is announcing a $100,000 matching-grant challenge for the Detroit Prep charter school as it seeks to move into an abandoned public..
Madonna will build a stadium for kids in Malawi. “It is actually David’s idea that we should build a football..
Madonna will chair the second edition of the Monte Carlo Gala for the Global Ocean, which will take place on Wednesday, September..
Madonna will celebrate her upcoming 60th birthday with an online fundraiser to benefit her Raising Malawi foundation. “I have an..